This is a non-refundable, rain or shine event. 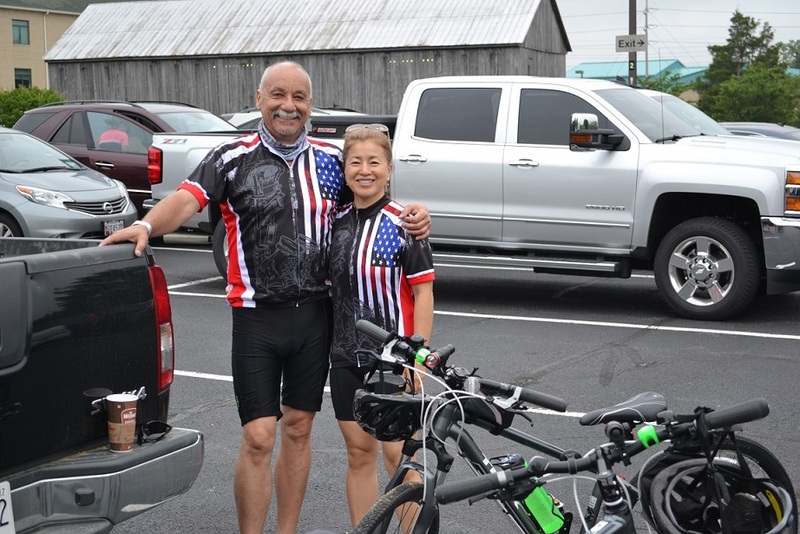 The ride takes place on a scenic 75-mile course on Saturday, June 1, 2019. Travel through the byways of Southern Maryland to Colton’s Point on the shores of the Potomac River. There are a couple of hills and a few curves as you enjoy the scenery with your neighbors. 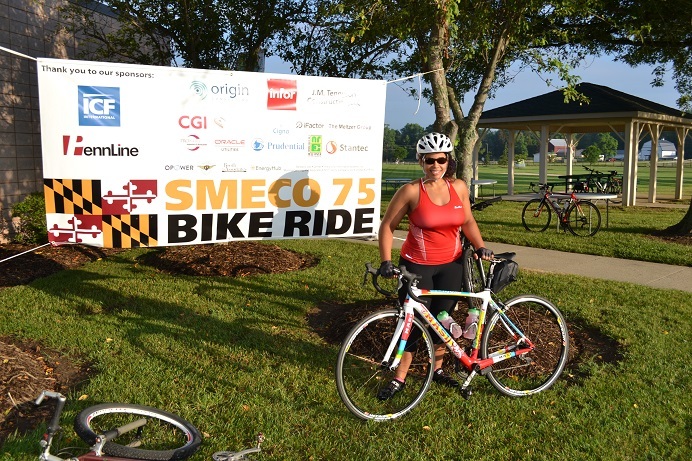 Take the 29-, 47-, or 75-mile ride through Southern Maryland along portions of the scenic Three Notch Trail. Cross the finish line and come enjoy a sub sandwich, cold beverage and a delicious sweet treat as you listen to summertime music. The 2018 event hosted about 400 participants so register early to ensure a spot and to take advantage of the low rate before May 2nd. 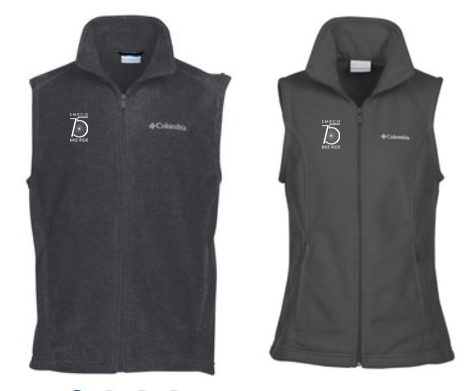 Pre-registration and packet pick-up will be available on May 31st from 4 p.m. - 6 p.m. at SMECO located at 15065 Burnt Store Road, Hughesville, MD. 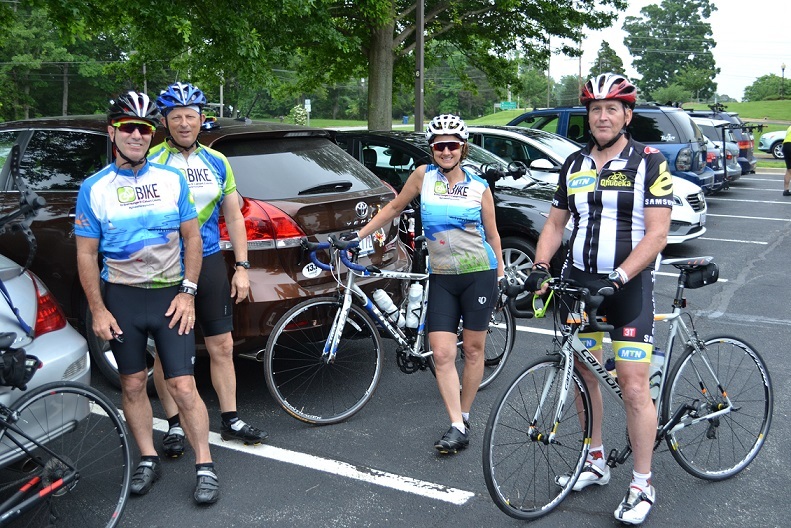 Cyclists can pick up their packets the day before the event and can get started on the course right at 7:00 a.m. on the morning of June 1st. No need to stop by registration again. Just bring your Active.com confirmation email with you in order to pick up yours, your family members' or your team mates' packets. 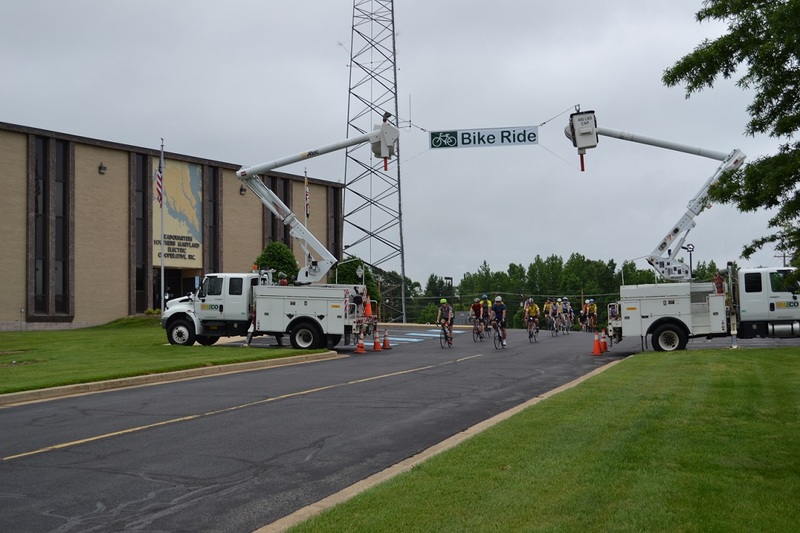 On event day, June 1, 2019, registration is open from 7:00 a.m. - 9:00 a.m. at Southern Maryland Electric Cooperative located at 15065 Burnt Store Road, Hughesville, MD. 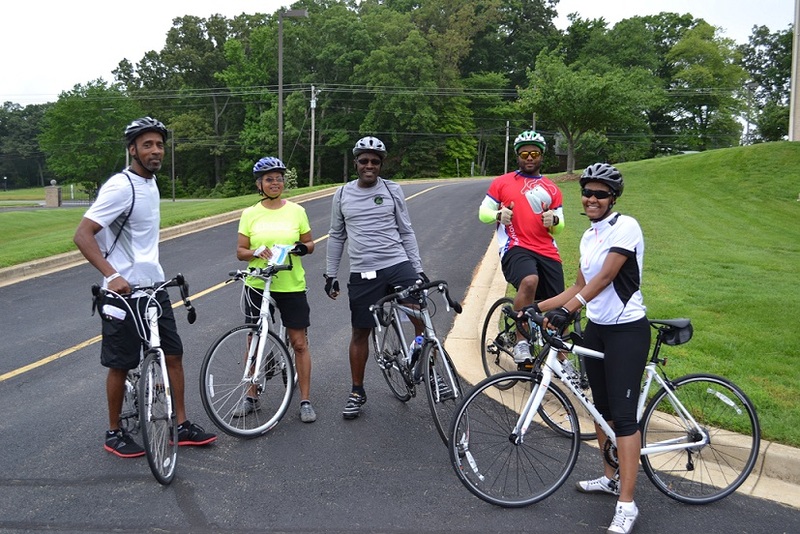 Cyclists can begin the route at anytime between 7:00 a.m. and 9:00 a.m. and are required to wear a helmet. The event ends at 3:30 p.m. so be sure to call for SAG support by 3:00 p.m. Choose from any of the three routes: 29-, 47- or 75-miles. There is plenty of parking at the start location, 15065 Burnt Store Road, Hughesville, MD 20637. With three rest stops and a WATER-ONLY station located on the 75-mile route cyclists will have plenty of fuel to help them stay on course. Grab some fruit, a protein bar, water, or gatorade and back by popular demand are our delicious nutella sandwiches. If you are not able to get back on the course or if you run into trouble on the road just call for SAG support and we'll come pick you up, but be sure to call by 3:00 p.m. Please note that rest stops are not equipped with a repair kit, only an air pump is availabe. Do bring your own tool kit with you in case there is a bike repair emergency. When you make it back to the finish line at SMECO's Headquarters location, we'll have a delicious sub sandwich waiting for you along with plenty of water, soda or gatorade beginning at 11:00 a.m. Enjoy a sweet treat too from the cookie table. 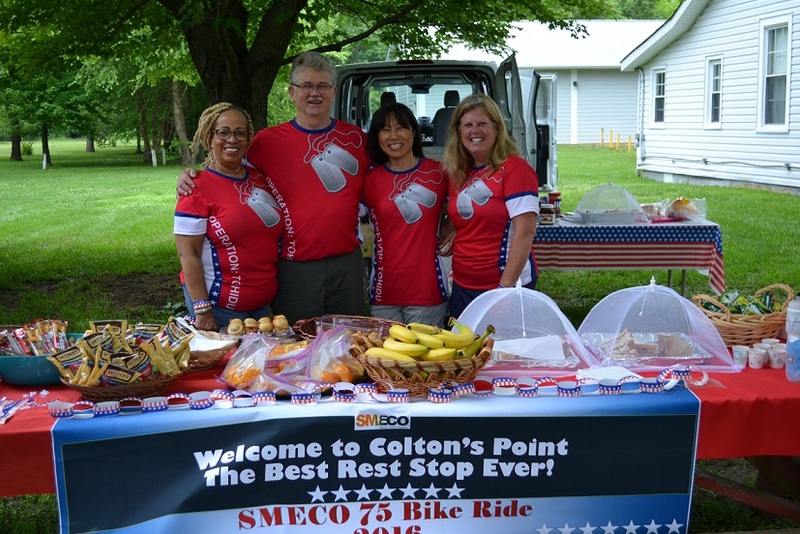 See you at the 2019 SMECO 75 Bike Ride on Saturday, June 1, 2019!